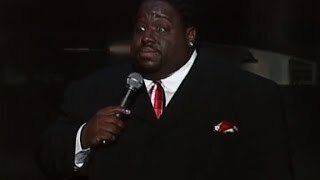 Bruce Bruce is a hilarious cool comedian who keeps crowds rolling in the aisles as soon as he hits the stage. He takes charge while he holds the audiences attention with his lightning wit, spontaneous snaps and improvisation. Vulgarity and derogatory remarks are not his thing. The extremeley funny Bruce Bruce, does adult comedy, as well as comedy for the entire family. He is currently the host of BET's "Comicview" and was in the recent feature film "The Wash." He was featured at the "Just for Laughs Festival" in Montreal, "Laffapalooza Festival" in Atlanta, and headlines clubs all across the country.